Meet Cassia Pappas. An elder daughter in the Pappas family, she works alongside her siblings and parents day and night in the family restaurant, Super-Gyros. Each of them is devoted to making the business a huge success. Boisterous Niko --- or Babbas, as the family calls their father --- even dresses up as a superhero (in tights, nonetheless) to promote it. (Not that that’s embarrassing to anyone!) Of course, the food itself is a Greek lover’s delight. Every day, they roast the lamb, mix the sauces, bake the pitas and create the Greek food their customers love. In fact, the fresh and tasty food makes every first-time visitor a regular. Babbas has moved the family (and the restaurant) from their home in California to the Texas town of Galveston, in the hopes of making Super-Gyros even more successful. Texas’s climate and culture are dramatically different for the Californians, but they find that there’s much to like about the coastal city. Babbas has taken a lease on a restaurant with a cramped upstairs apartment for his large family. And he has every intention of providing something bigger and better for them once the restaurant is successful. 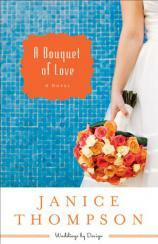 "Janice Thompson’s delightful fourth book in the Weddings by Design series may be my most favorite of all her novels. Cassia Pappas is both winsome and engaging as she tries to figure out how to be a dutiful and loving daughter while navigating her new love and career." But what will be the cost of that success? Babbas notices right away that there is an enormously successful Italian restaurant right across the street called Parma John’s. (Readers of Thompson’s earlier books will recognize this restaurant and its owners.) He declares war on Parma John’s and concocts plans to steal their customers away. And he forbids the Pappas clan from patronizing ANY businesses owned by the Rossi family. Little does he know that most of the businesses in Galveston belong, in one way or another, to the Rossis --- not just Parma John’s, but wedding planners, dress designers, florists and bakers. Babbas is also unaware that his family, devoted to him though they are, has hopes, dreams and desires that do not include running a restaurant. But how on earth can they share these wishes with the man who’s always planning the next venture…and sadly, who’s not all that great at listening to anyone else? Cassia has a dream. Since she was a little girl, she has been entranced by flowers. She has a degree in flower design, but her goals don’t exactly flow with Babbas’ marketing plans. Just how does one combine roses with tzatziki sauce? She keeps hoping and dreaming while trying to be a good Greek daughter: obedient, respectful and hardworking. While she adores the Greek food Super-Gyros serves, it’s flowers that fill her heart and sustain her daydreams. Suddenly, those dreams whose fulfillment seemed far in the future become reality. Marcella, the local florist, hires Cassia, who manages to convince her father that she can work at both the flower shop AND Super-Gyros. 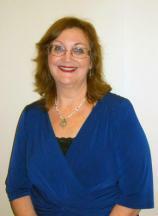 Marcella is not only looking for an employee but for a buyer as well. She’s convinced that Cassia is the perfect future owner. And there is another dream Cassia has had --- the one of a perfect relationship with the right man. In the Lord’s good timing, of course. Naturally, she wasn’t expecting to find the perfect man in Texas, carrying roses into the flower shop on the same day she is hired there. But when Alex Rigas walks in with his flower delivery, he certainly catches her attention. What more could Cassia have desired than a man who is gorgeous, kind, polite…and grows roses on the side? Cassia’s happily-ever-after doesn’t stop there, exactly. There’s still her father’s obstinate restaurant war to win, along with her siblings’ own hopes and dreams to fulfill. Each member of the Pappas family has an adventure ahead. What is going to happen with Cassia and Alex, the restaurant, and Babbas and the Pappas family? And is that a Judy Garland tune playing in the background? Janice Thompson’s delightful fourth book in the Weddings by Design series may be my most favorite of all her novels. Cassia Pappas is both winsome and engaging as she tries to figure out how to be a dutiful and loving daughter while navigating her new love and career. A BOUQUET OF LOVE nicely ties up all of Thompson’s characters’ endings --- not only in this series but also those from her Weddings by Bella and Backstage Pass books. You can read this as a stand-alone novel, but you’ll definitely want to delve into Thompson’s backlist as well.